Generic drugs are made with the same active ingredient, strength, dosage form, and route of administration as the brand name version. Generic drugs are many times cheaper than brand name drugs because they do not need to spend on clinical trials, marketing, and promotion of the drug. Generic drugs are required to undergo tests proving that they have the same efficacy as brand name drugs. 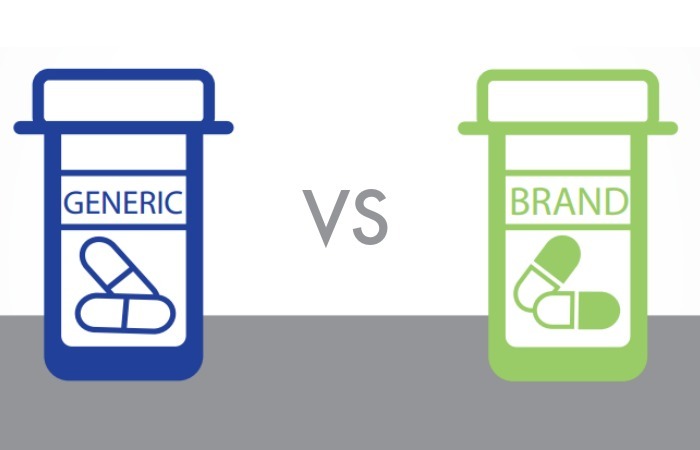 If you were told to choose between getting a generic drug or a branded drug, which would you pick? And what is your reason for picking one over the other? Because it’s way cheaper, many people assume generic drugs also come with lower quality and efficacy. They believe that generic drugs are inferior to its branded counterparts, and some even think that you’ll get more side effects if you take the non-branded version of the drug. How true is this? 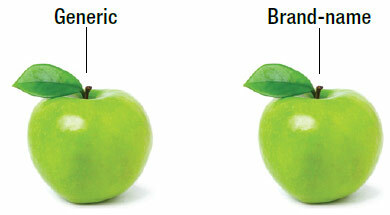 And what exactly is the difference between generic and brand name drugs? What are Brand-Name / Innovator Drugs? Innovator drugs are the first drugs in the market to be approved with a specific active ingredient. They are protected by a patent for up to 20 years, and during this period, no one else can produce or sell the same drug. Brand (or trade) names are then chosen for these drugs, usually something easy to pronounce and remember, before they are heavily marketed to the public. You’ve definitely heard of Panadol (the brand name), but did you know it’s just a brand name for paracetamol (the generic name)? Once the patent expires, generic drug manufacturers can apply to produce the same drug, albeit with a different name. Generic drugs are basically copies of brand-name drugs manufactured after the patents of the innovator drug has expired. They come armed with the same active ingredient (the chemical inside a drug which makes it work), strength, dosage form, and route of administration as the brand name version. In order to be approved as an acceptable substitute, generic drug manufacturers put their drugs through rigorous tests to prove that their product is the same quality as the innovator drug. In Malaysia, the Drug Control Authority (DCA) imposes stringent evaluation for all products before it can hit the market. Generic drugs are required to undergo bioequivalence studies to ensure that the therapeutic effect of the drugs are equivalent with the innovator drug before it can be marketed here. Generics could appear different from the brand-name versions we’re accustomed to (different colours, shapes, sizes), but it’s essentially the same quality and will work the same way in your body. The biggest difference? The price. Generics can be up to 70% cheaper than brand-name drugs, and this may be why some of us have less confidence in them. 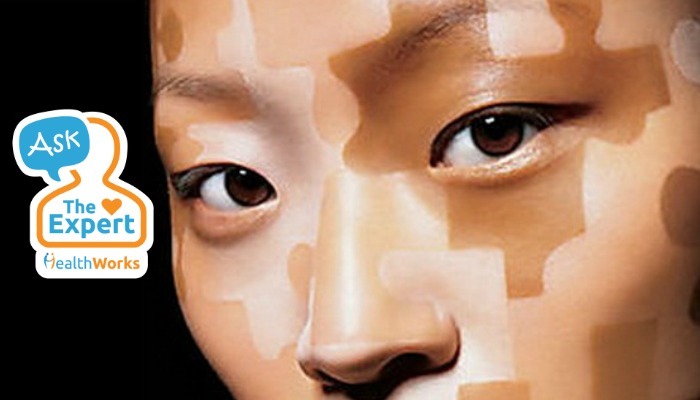 We ask, “if it’s the same thing, how come it’s so much cheaper? 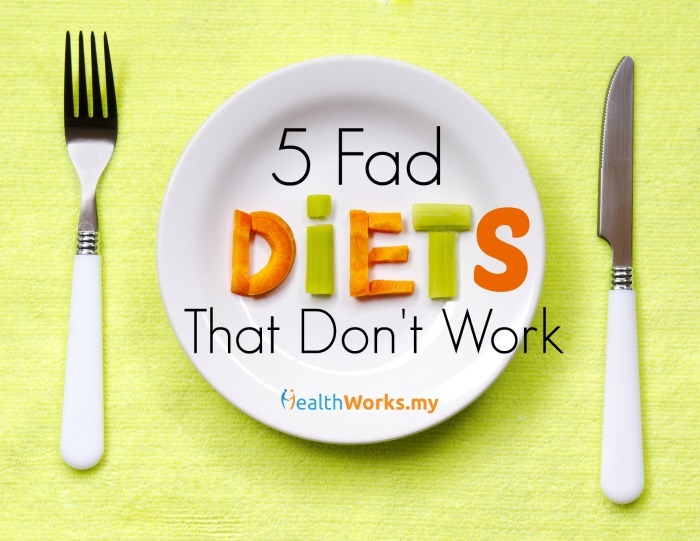 Maybe they’re using cheapo ingredients and we might get even sicker from it!”. Generic manufacturers can sell at a lower price because they do not have to repeat the costly research and clinical trials of new drugs (that the innovator drug manufacturers had to do). They also don’t have to spend huge amounts of funds on advertising and marketing the drug, because well, it’s been in the market for more than 20 years. On top of that, competition in the market due to more companies producing the drug further pushes the price down, lowering the cost for us. That’s completely up to you. Research has shown that generics work just as well as brand name drugs [1, 2], and generics go through rigorous checks before being registered on the market. It doesn’t hurt that it could shave off quite a bit of your bills (if you go to private doctors). 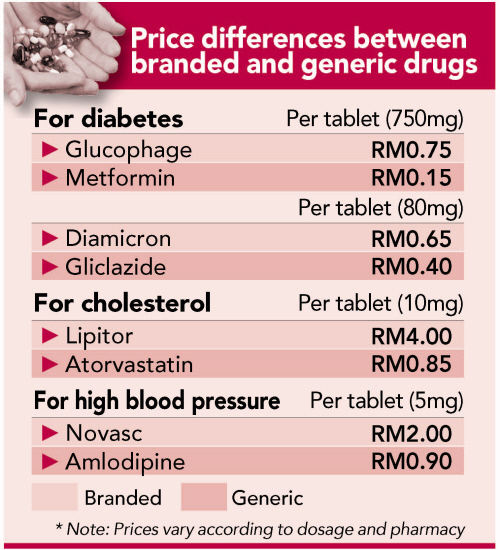 A 2009 survey by Universiti Sains Malaysia (USM) revealed that using generic drugs could help patients going to non-government hospitals save between 60% to 90% of their bills . That’s definitely a plus. At the end of the day it’s about what you’re comfortable with. But now that you understand how generics are made, maybe it’ll give you a peace of mind. Take heed though, that there’s a difference between generic drugs and counterfeit drugs. Generics have to meet industry standards before being allowed on the market, but counterfeit drugs are merely sub-standard copies of brand-name drugs which aren’t as effective and may pose health risks.